Nollywood actress Tonto Dikeh seem undisturbed about her marital crisis as she stepped out for an event yesterday. She shared these photos on Instagram, wearing her signature smile. 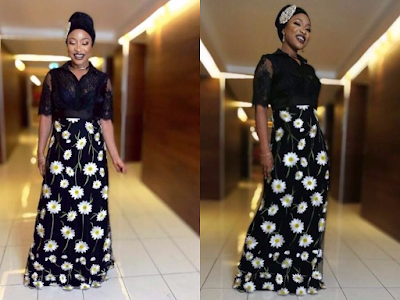 Tonto attended the “Celebrity Shift Praise 2017″ all glammed in a monotone floor length dress and a turban. Stepped out in my @yuteerone TO worship my Father..
#GreatNight #GreatPeople #GreatGod #Celebrity shift praise2017″ – She captioned.